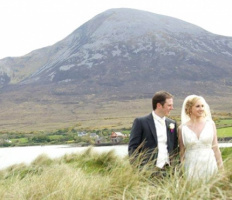 Bertra House B&B is an award winning B&B located at the foot of the world famous holy mountain, Croagh Patrick. With stunning views onto Clew Bay, Bertra Beach is a recognized blue flag beach only 3mins walk away. Also hosting Westport Cycle Tours its a perfect place to see the best the West of Ireland has to offer. The town of Westport is only a ten minute drive, where you will find a vibrant night life with a host of pubs playing traditional Irish music, most notably “Matt Molloys” and a range of restaurants for you to start your evening in a relaxed environment. 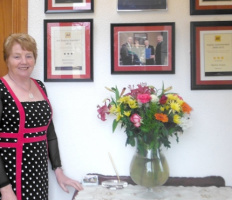 Bertra House is the perfect base to savour the best that Westport has to offer but don't just take our word for it, read our valued visitor's comments or enquire now about availability for your trip to the West. Just ask for Margaret!